I tell my poetry-writing students all the time that a poem is not a riddle. By which I mean, not merely a riddle. 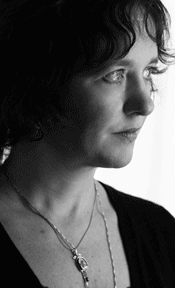 Because of course there’s something riddle-like about poetry – some grasping for an answer. The difference is that most riddles have that answer, one answer, singular, some correct response that puts the question to rest. Poems, being wiser, know the question is never fully put to rest, the exploration never ends. … The physical universe and its buzzing machinery, its fantastical scenery. They were all around us that day. In the confusion of air. In our strange dreams. In the baggage we’d brought with us and would have to leave. In our faded animal memories. The humming gold of being, and ceasing to be. The exposed motor of eternity. Such is the reading experience in this book: all the madness of the world peeled back in search of what sustains us. Honestly, it’s hard for me write coherently about this book because I find it so intensely, awesomely freaking brilliant. Most books, even the ones I love and return to over and over, have some soft spots, some unevenness, some of those poems you flip past. 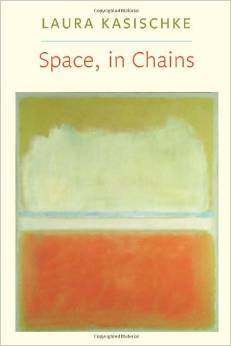 Space, in Chains feels impeccable, inevitable – and does so without feeling at all precious or over-polished. The very best of poetry – like that in this book – offers all of us that voice calling out as we step out into the world, that reminder that we need not face the day alone.